American doughboy on guard in midst of ruins and new guard relief of 131st Infantry, 33rd Division, coming on duty. 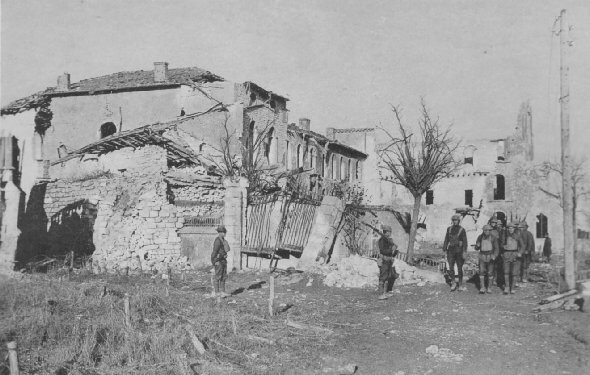 It was in this town that the Armistice stopped the rush of Americans towards Butgneville, which at the signing of the Armistice, was held by Germans. 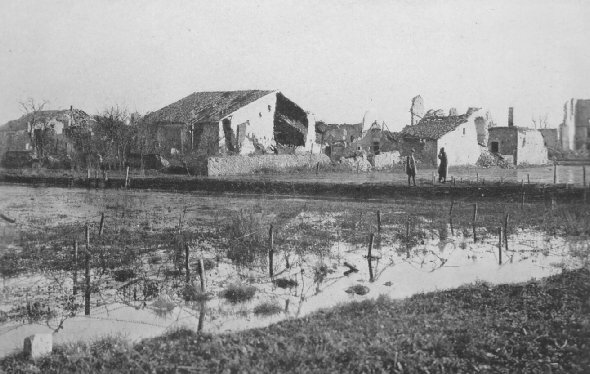 Dam used by Germans for flooding town of St. Hilaire. This dam was mined, but the rush of the 33rd Division prevented the Germans from completely inundating the town.